It's the most wonderful time of the year! 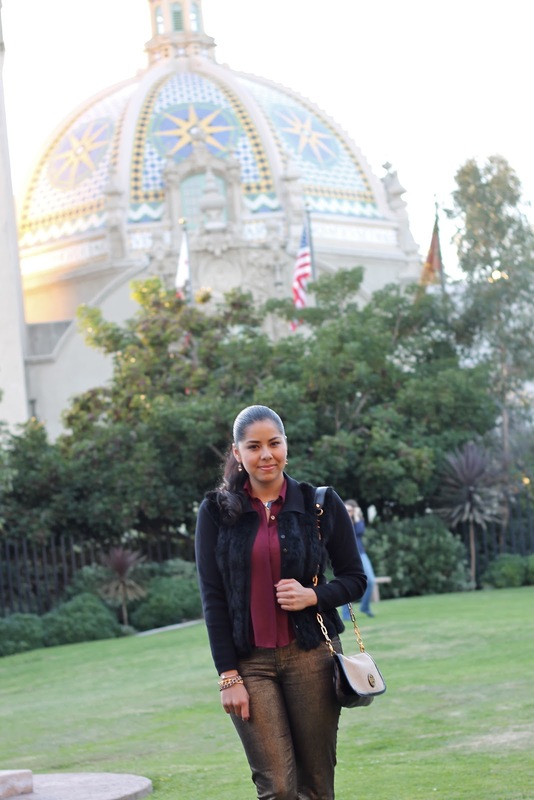 To get into the Holiday spirit, a couple of weeks ago my sister, the kids and I went to Balboa Park for a Grinch tree lighting. 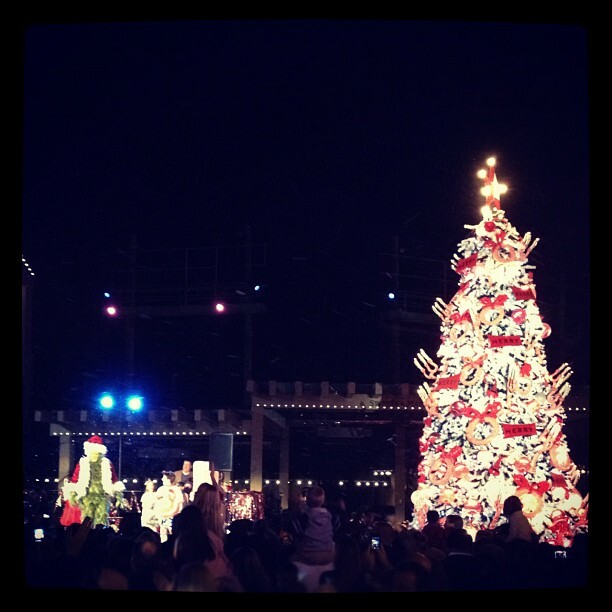 The tree was gorgeous and very Whoville! As we waited we took some pictures, warmed up with some hot cocoa and enjoyed some gingerbread cookies. 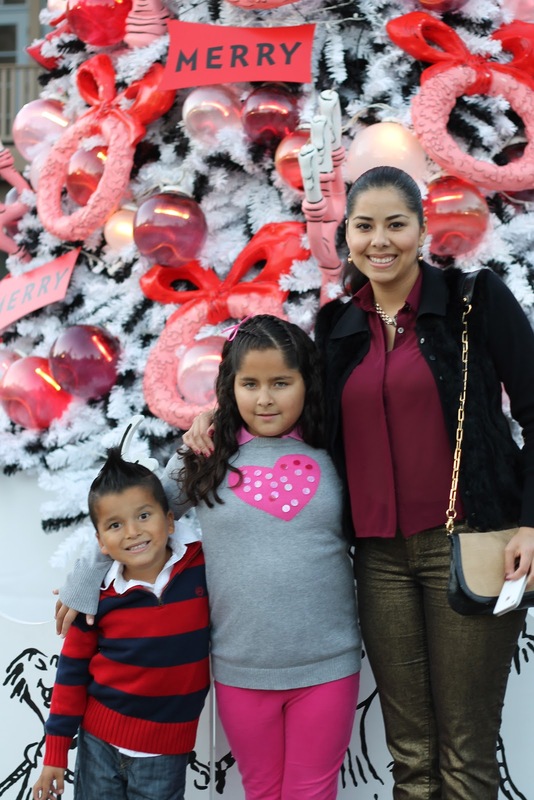 It was so adorable to see the kids be so excited when the Grinch came out to light the tree and it made me feel nostalgic remembering being a kid counting down the days 'til Christmas! 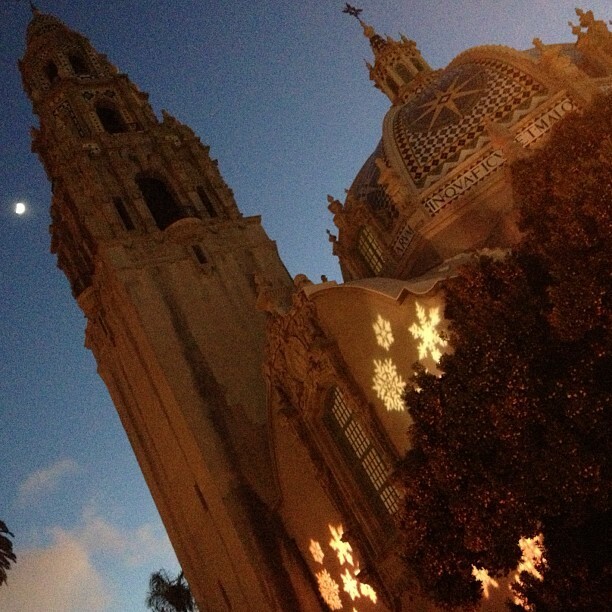 After the tree lighting, fake snow trickled down upon us from the machines because you know us San Diegans don't see any real snow here... ever! Also, I'm so happy to share with you that I am going to be blogging about Holiday Party looks next week! 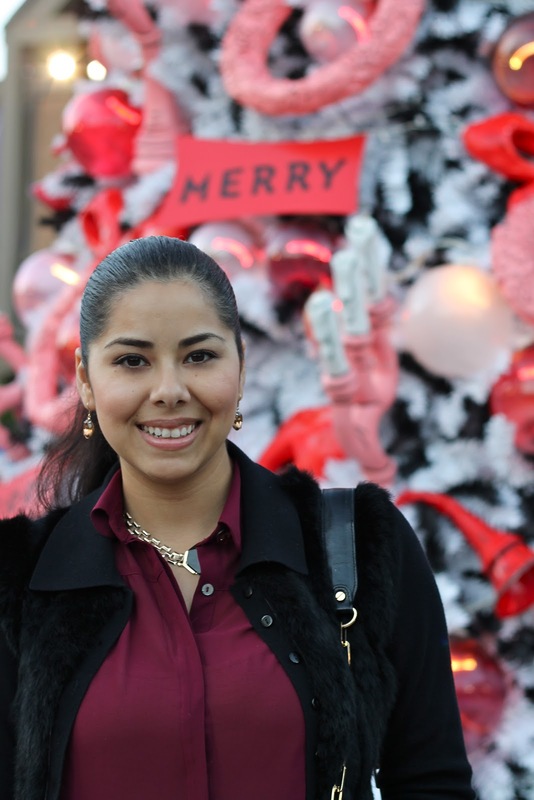 I will show you an array of holiday looks from casual and comfy to holiday dresses! You look super trendy babe,great photos! You look so glam! Gold is perfect for the occasion and I adore that top. Your smile is contagious Pau! I can't wait to see your holiday party looks!! Cute pics! You look so pretty! I'm loving burgundy too! The metallic pants are wonderfully festive! Great outfit, very holiday appropriate ! I love those pants! I have been looking for a similar pair. Good to know F21 has them! Very cute look. Perfect for the holidays! Thanks for stopping by and commenting! Your kind words mean so much to me! Mi tocaya tan bella como siempre, me encanta como te va ese color!! I took my little one to the Grinch, she loved it. Thank you for your good health wishes for my mother in law. I love those pants by the way. Those pants are so cool- you are rocking them! love that gold accent pants, looks awesome on you!!! Paulina...those pants look amazing on you!!!!! LOVE love love those pants, and the color of the blouse. You look great. Would love for you to stop by my blog and enter my necklace giveaway! Cute! Your kids are adorable!! awesome pants lady! Looks like a great day!